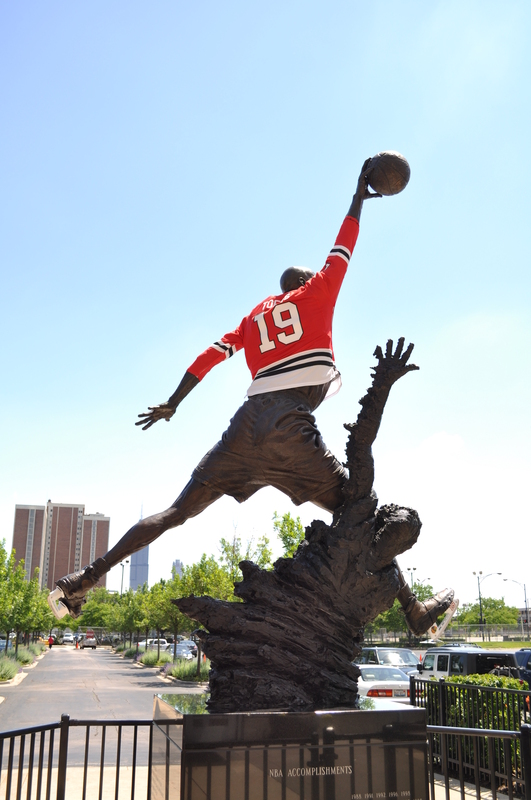 Again, looking back on things that were happening last year, here is a photo of the Michael Jordan statue outside of the United Center during the Stanley Cup playoffs of 2010. 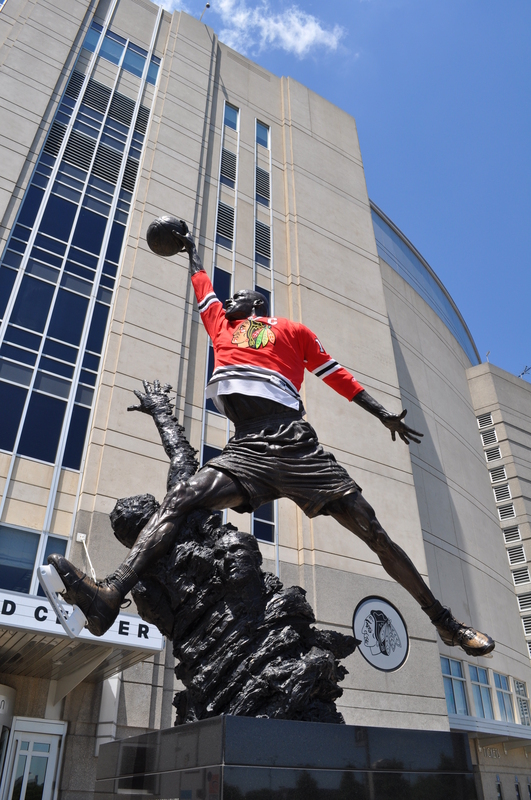 The statue was adorned with hockey skates and a Towes jersey to cheer on our beloved Blackhawks. This entry was posted in Amusement, Blackhawks, Chicago, Life. Bookmark the permalink.